From left: Dr Hussain, Tourism Minister Datuk Seri Ng Yen Yen and Jerantas representative Tan Sri Abdul Aziz Ismail viewing a model of the project. KUALA LUMPUR: Malaysia could be home to the world's first Harrods Hotel if everything goes according to plan under a RM2bil collaboration between Qatar Holding LLC and Jerantas Sdn Bhd. The project, located on a 5.48-acre land between Jalan Raja Chulan and Jalan Conlay, would be one of the world's first three Harrods Hotel chain to be built. The other two on the drawing board would be in London and Italy. Qatar Holding vice-chairman Dr Hussain Ali Al-Abdulla said the Malaysia Harrods Hotel should be the first to complete, with the London hotel completed slightly later. The project would be built on two parcels of land where Chulan Square and Sri Melayu Restaurant are sitting. 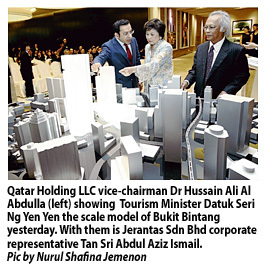 The land was acquired by Jerantas from the Government for 1,800 per sq ft or RM429.68mil. The development would be a one-structure building housing the seven-star hotel, serviced apartments and some retail space. The hotel is designed to have 250 to 300 rooms but the capacity of the serviced apartment has not been decided. Both Qatar Holding and Jerantas will fund the project evenly, with construction work slated to commence a year from now. Jerantas, which would be the sole developer, said the existing structures would be taken down within a year and the occupants would be notified. Qatar Holding and Jerantas has signed a memorandum of understanding to study the potential development of the hotel, with both expressing confidence in the project. On the pricing of the serviced apartments, Hussain said it would “definitely be higher than Banyan Tree Residences but (the specific price) depends on the market”. “We are looking to invest more in Malaysia because we believe the local economy will grow over the next two years at around 5% (per year),” encouraged by political stability and strengthening ringgit, he said. “We will continue to invest in hotels because Malaysia is a good destination for tourism, with a lot of things to offer,” he added. Hussain said that apart from hotels and shopping centres, Qatar Holding is interested to invest more in natural resources in Malaysia, having been the cornerstone investor in Felda Global Ventures Holdings Bhd with US$100mil. Jerantas is a joint-venture company set up by PS Trading Sdn Bhd (34%) and Gagasan Simfoni Sdn Bhd (66%). PS Trading is a wholly-owned subsidiary of Tradewinds Corp Bhd. Tradewinds, which holds the Harrods retail franchise in Malaysia, had indicated in its 2008 annual report that it planned to work with Harrods on hotel, residential and commercial projects. Qatar Holding, which owns the rights to the Harrods brand, will have an equity participation in the project through its shareholding in Gagasan Simfoni. In a statement, Qatar Holding said the development was part of its strategy to grow the Harrods brand and expand the group's portfolio by opening Harrods hotels in key cities like Kuala Lumpur, New York and Paris as well as in China. “Preference will be given to construct on sites already owned by Qatar Holding or its affiliates, for example at Chelsea Barracks in London or Costa Smeralda in Sardinia (Italy),” it said. SINGAPORE: Resale HDB flat prices have inched upwards yet again, this time by 1.3% in the second quarter of this year, according to the Housing Board’s flash estimates released on Monday. This resurgence comes on the back of a downward trend in the two previous quarters. The percentage increase in the fourth quarter of last year, and the first quarter of this year were 1.7% and 0.6% respectively. A more detailed release, said the HDB, would be out on July 27. The agency has committed to offer 25,000 Build-To-Order flats this year, and has launched more than 15,000 flats in the first quarter alone. 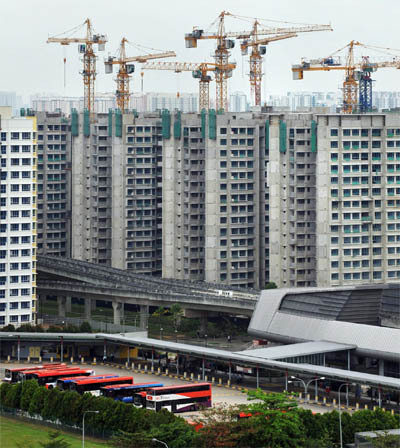 There will be 5,200 more flats launched this month, and will be in areas such as Bedok, Bukit Merah, Choa Chu Kang, Clementi, Geylang and Punggol. On the private homes front, estimates released by the Urban Redevelopment Authority (URA) on Monday showed that prices have risen by 0.4% in the second quarter of this year. Non-landed private home prices increased by 0.6%, while prices for properties outside the central region went up by a more moderate 0.4%. There was no change in the prices in the rest of the central region. The latest price increase is a reversal of last quarter’s price decrease of 0.1% , the first quarterly price fall since Q2 of 2009. 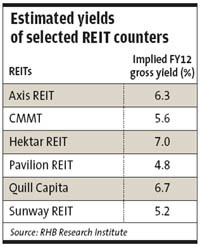 More detailed data will be revealed on July 27 when URA releases the full second quarter real estate statistics.